I’ve been a little slow on writing new posts lately. First, my wife took a science class in Costa Rica so the opportunity for going hiking has been nil (but look forward to guest posts by her on her hikes in Costa Rica). Second, I’ve been going through all of my hike posts and adding a map of the hike. I have a Pro subscription to AllTrails.com and when National Geographic stopped producing their TOPO! and Trails Illustrated software they partnered with AllTrails to make them available their site. I use their trail editor software when preparing for hikes that are outside of the White Mountains (I use the AMC White Mountain Guide for hikes within). 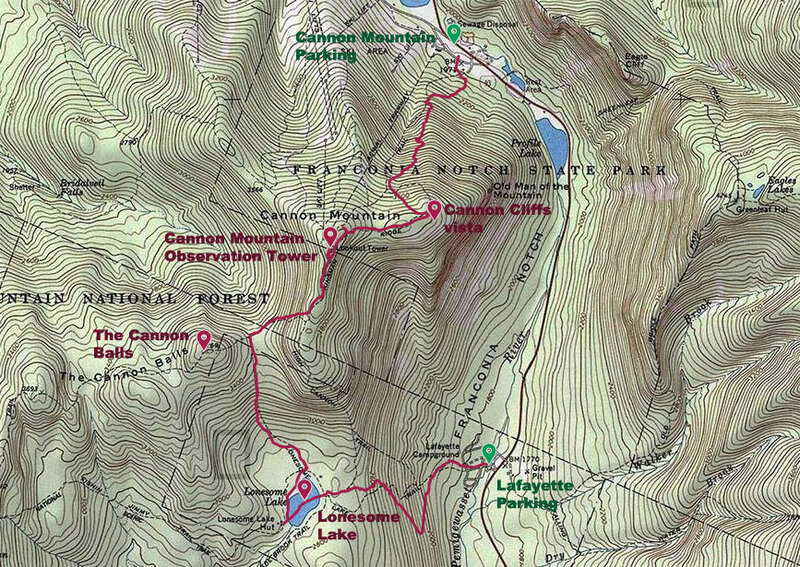 I created a map for my most recent hike, a traverse across Lonesome Lake and Cannon Mountain, and enjoyed reliving the hike so much that I decided to do the same for the rest of the hikes I’ve posted and will continue to do so for future hikes. I have marked parking areas, highlights along the routes (like peaks, shelters, vistas and other points of interest) and the approximate routes. 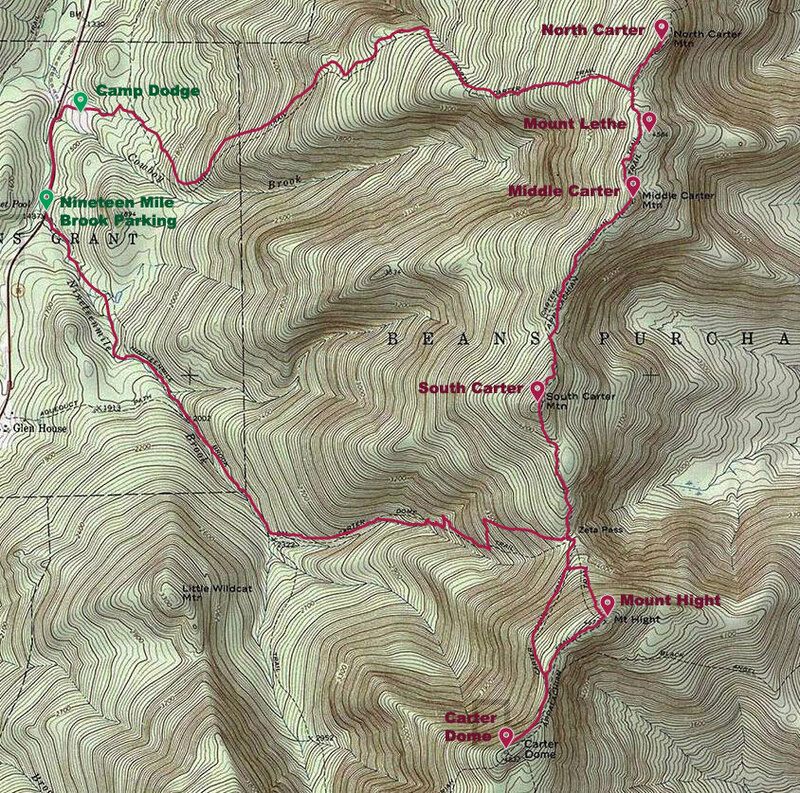 The routes are approximate because I do not track GPS on my hikes to get the exact route. I use a combination of AllTrail’s TOPO! (which generally appear to be out of date), satellite and OCM map layers. I find that the OCM layer is the most accurate, but at times it is just a straight line where the topography layer shows the trail following the contours more accurately. In the end I compare the plotted route to the satellite layer to make sure the route is following the trail and to add side trails that aren’t necessarily on the other layers. OCM is mapping technology for cyclists which is built on top of OSM, Open Street Map (another layer that AllTrails offers, but doesn’t include trails). I’m not positive if AllTrails’s OCM layer is data from Open Cycle Map, as you don’t see many cyclists on mountain trails, but looking at the OpenCycleMap.org site the data looks to be the same (as well as colors, icons, etc). 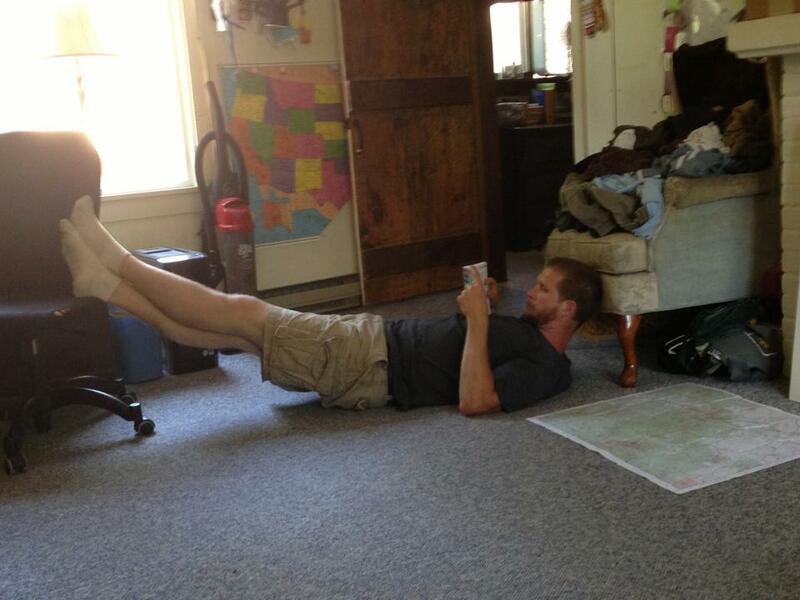 After creating the routes and waypoints in AllTrails, I save the map with the TOPO! layer showing. It has the benefit of showing the elevation contours and other features like ski trails, roads and the names of parks, rivers and lakes. Finally, I edit the save map in Photoshop in order to add some more visible labels. I haven’t done so yet, but I will probably publicly share my AllTrails maps and include a links to them so they can be investigated more closely if desired. In the end it is quite a bit of work to show a small map with little detail, especially for particularly long hikes. But it is my hope that you, fellow wanderers, will find the maps useful when pared with my posts and stats from my hikes. If I can help encourage one person to get into the mountains and discover something new then it is worth the effort. 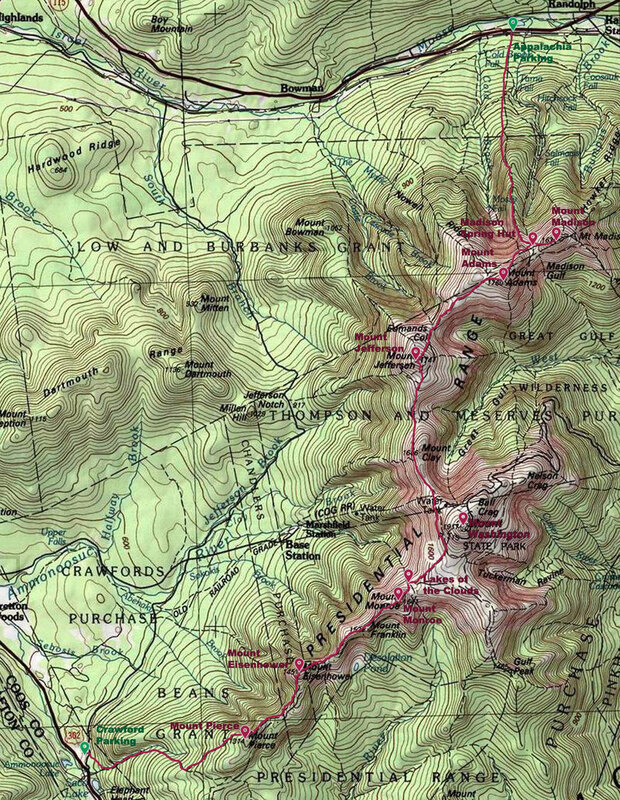 Plus, I literally relive the hikes in my head while I’m creating the maps. It’s amazing the memories that flood back when I recall the physical location associated with a point on a map. Since the publishing of this post, AllTrails has updated their default map layer to make it much better. Its trail routes now follow the OCM layer’s data more accurately and it visually contains many of the features of the TOPO! layer, but it is much cleaner and easier to read. 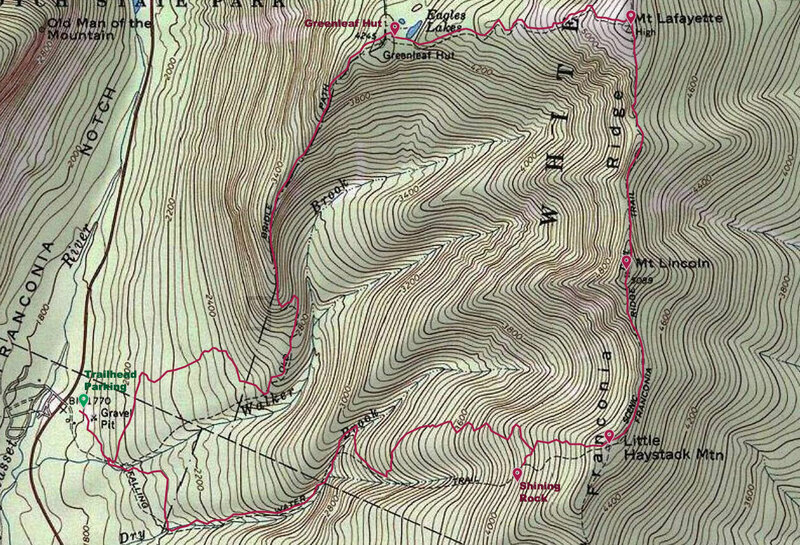 See an example of the new layer in my post about Pamola Peak. “AllTrails.” alltrails.com. AllTrails, Inc. Web. 18 January 2015. “OpenCycleMap.org.” opencyclemap.org. OpenCycleMap.org. Web. 18 January 2015. This entry was posted in Hike and tagged Hiking, Maps, Mountains, Parking, Trailheads, Trails. Bookmark the permalink.